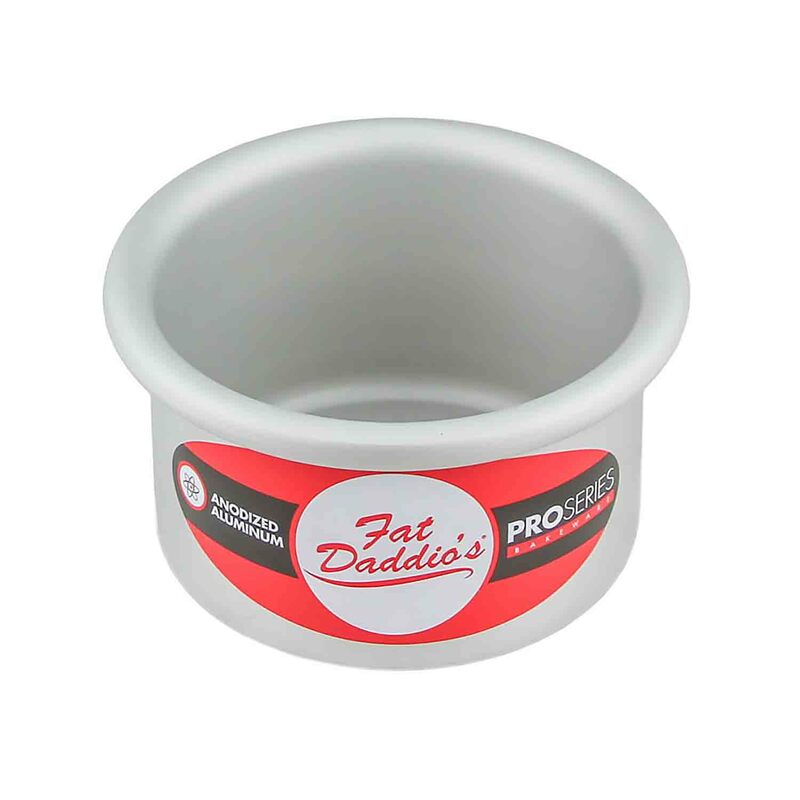 Round Cake Pan 3" x 2"
Brand: Fat Daddios FD-PRD32 Units: 1 Fat Daddio's Round Cake Pan is made with 16-gauge anodized aluminum. There are no seams or weld lines often found in other pans. Anodizing completely seals the aluminum, making a smooth scratch-resistant surface, and ensures there is no cross-contamination or leaching of aluminum into foods. Anodized aluminum is also non-reactive with acidic and dairy ingredients. Fat Daddio's anodized bakeware offers superior baking performance, even heat distribution, safety, and durability. Dishwasher safe. Lifetime warranty. Fat Daddio's Round Cake Pan is made with 16-gauge anodized aluminum. There are no seams or weld lines often found in other pans. Anodizing completely seals the aluminum, making a smooth scratch-resistant surface, and ensures there is no cross-contamination or leaching of aluminum into foods. Anodized aluminum is also non-reactive with acidic and dairy ingredients. Fat Daddio's anodized bakeware offers superior baking performance, even heat distribution, safety, and durability. Dishwasher safe. Lifetime warranty.